You spend so much time planning for retirement. You save to ensure a bright and stable financial future. Additionally, you make the right moves with the intention of spending all that money you squirreled away for your twilight years. However, you may be surprised at how many people leave money behind. They pass away with a considerable amount of cash still left in their Investment Retirement Accounts (IRA). Some of them plan for this possibility. Thus, they name a beneficiary or two. They would receive the left-over funds in the event that the owner is no longer around to enjoy those resources. Yet, in order to do so, the owner of the IRA has to make arrangements to set up an inheritance of the account. That is because this money is not automatically covered in the language of a will. In fact, there are a lot of facets to think about with respect to who can benefit from the money. That includes things such as how they can take their distributions; the tax implications that come with the money; and the many other do’s and don’ts associated with providing the best situation for you and your beneficiaries. Thus it makes sense to plan ahead to ensure your beneficiaries can get the most out of the money you worked hard to save over the course of your life. This may all sound somewhat complicated and confusing at first, but we are going to simplify everything you need to know about inherited IRA rules. As mentioned above, you can’t expect the money in your IRA to be divided out in a will, so you must fill out a beneficiary designation form. That document will dictate who you wish to receive the remainder of the funds in your IRA account should you die before you are able to spend all of it. This form is typically completed at the time you open your IRA. However, it can be changed at a later date if you wish to amend it. Maybe you have grandchildren to whom you would like to give some money down the line, or perhaps you wish to remove a name that you had listed as a beneficiary. It is entirely up to you to make changes as you see fit. Once the form is completed, the bank will have these names on file and will be prepared to carry out your wishes. It is a good idea to revisit your beneficiary designation form every so often. In doing so, you will make sure it still reflects your intentions and to make any appropriate amendments. If you wish to implement any changes, you must submit an updated form. On it, you will identify your primary beneficiary or beneficiaries. You will also appoint alternates in the event the primary is unable to collect for whatever reason. Who Can Be Named as a Beneficiary? The short answer is: anyone you want. Spouses and family members are the most common named beneficiaries on a designation form. However, you may also include friends if you prefer. You can even give all the money over to a charity or trust. Where your spouse is concerned, he or she will typically be the automatic beneficiary of your 401(k) account. Therefore, if you would rather name an alternate beneficiary, your spouse must grant permission in written form to do so. What about those accounts where the owner failed to fill out the form or did not select any specific beneficiary? If so, your heirs who could be in a position to receive that money are bound to abide by the bank or financial custodian’s default policies regarding inherited IRAs. These rules are not always kind to those whom you may have intended to receive the money but neglected to delineate for whatever reason. In most cases, the money will be given to a living spouse by default. But sometimes the money is sent directly to the estate of the deceased. Children are rarely given the money automatically. This is why it is so important to designate your heirs on the proper paperwork for each and every retirement account you own. Just because you filled out the form for one account with one bank or financial institution does not mean those beneficiaries will receive the funds in all of your other accounts. Every IRA custodian has their own set of rules and policies. It does not matter if you have more than one account with the same institution — you must complete the form for every account. There are some other factors you will need to consider beyond just naming a beneficiary or two on your account. You have the distributions of the funds to think about. 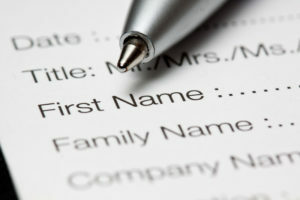 Consider how that will impact those individuals or organization named on your form. This will also give you an opportunity to control when the funds are given out if you decide that some of your beneficiaries are to receive the money after they reach a certain age. The majority of account holders who share their life with a spouse or life partner will typically name that individual as the beneficiary on their account. Consequently, you have the choice as to how much of your money that person is entitled to receive in the event of your demise. You may intend for your spouse to receive the entire balance. If you want them to get all of the money, you must explicitly declare that on the form. Maybe you want that person to get only a portion. In that case, you must state how much — a half, a third, it’s up to you. However, be sure to delineate it in no uncertain terms. The form will ask you for the names of contingent beneficiaries. This is done in the event those who are named as your primary heirs are not around to collect the money.For instance, let’s say your spouse passes before you do and you fail to amend the form before your own death. In that case, the IRA custodian needs to know who should receive the money in your account instead. They will not be able to ask you since you are no longer around to make that decision. Money that is left for children and/or grandchildren can get a bit complicated. This is especially true when there are both and you would like all of them to receive some portion of benefits. You can create a stipulation on the form that declares what portion each should get. Additionally, it adds instructions for monetary distribution if one of them is not around to accept the money due to death. For example, you have four children and would like them all to get twenty-five percent of the money in your account. Then, you must declare each name and the fraction that they are entitled to receive on the form. Now let us suppose that one of your children tragically dies before you do. If so, you can instruct the IRA custodian to impose “per stirpes” distributions. When you do that, the money that would go to the deceased child is then passed down to that heir’s own children instead of having that share divided among the other three named heirs. If your child does not have any children of their own, the stipulation would not apply. Then, that portion of the money could be divided up. 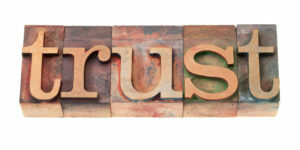 When you fill out the form you can decide to place your money into a trust. This can be a smart move for a few reasons. They all require the assets to be protected from beneficiaries who may be too young to practice proper fiscal responsibility with the funds at the time of your passing. It can also keep creditors away from your money entirely. 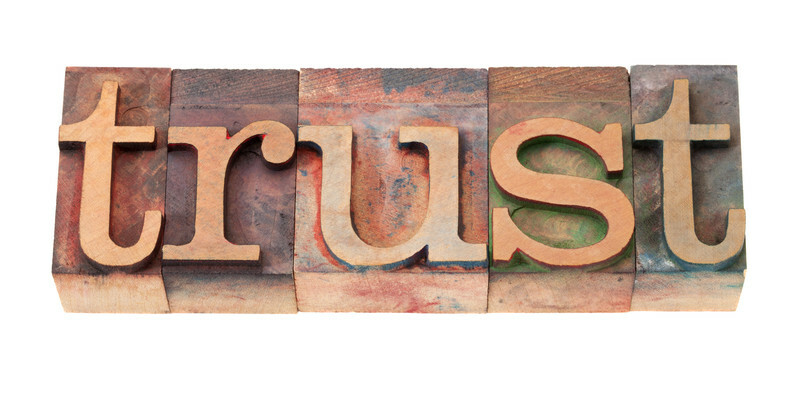 Placing the money in a trust would then allow the distributions to be made on a schedule of your choosing to any named beneficiaries. However, the trust must be qualified to be named a designated beneficiary on the form. That means it must meet the standards set forth by the IRS. Under the tax code, the trust may then start to draw down withdrawals based on life expectancy of the eldest named beneficiary. Those payments can be drawn out over an extended period of time. If the trust does not meet the IRS regulations and qualifications, then it may still take the money but could be forced to take withdrawals over a shorter period of time. There is another benefit of naming alternate beneficiaries on the designation form. It allows your primary beneficiaries to opt out or disclaim themselves from the inheritance. Once they request to be taken out of the inheritance, it is the same as if the named heir was deceased in the eyes of the custodian. The money would then go to the alternate you have named on the form. This is particularly useful for leaving money to your grown children. That is because they may wish to have their portion of the assets passed down to their own child or some other individual or organization. Therefore, including additional beneficiaries as alternates leaves the decision to your primary beneficiaries as to whether they want to accept the money or have it given to someone else. Some account holders will name a charity as their main beneficiary and give their heirs other inheritances. This is also a way to make the most out of the available resources in the account. That is because withdrawals taken by a charity will be made tax-free due to the tax exempt status of most charitable organizations. It is also an advantageous way to get a charitable deduction on any taxes that might be the responsibility of the estate when the time comes to file. Perhaps you’ve decided to make a charitable gift of the remainder of your funds in the IRA. If so, you simply name the charity or charities as the primary beneficiary or beneficiaries on your designation form. Additionally, you will delineate how much should be allocated to each organization you have listed. Some forms may not be adequate to fully address your complex estate planning needs. This is true particularly if there are multiple accounts or beneficiaries that need to be included. In any event, you will want to have your lawyer look over your paperwork to make sure your wishes are stated properly on your forms. Maybe your IRA custodian’s form is not sufficient for taking care of all your needs. Thus, your lawyer may wish to draw up a customized form that fully covers everything you need to be handled. Furthermore, be warned that these specialized forms could take longer to implement by your financial institution. That is because that entity is not familiar with all of the specifics as outlined in this document. These will probably vary greatly from the standard form that they commonly use with their clients. We’ve covered some of the rules and regulations that govern how an IRA account holder may declare who gets their money and how. Now, let’s take a look at the rules and regulations that govern the rights and privileges of the individuals and/or organizations that would be receiving the money. Many of these rules are in place to protect both the account owner and the beneficiaries. This is done by establishing the options that exist for receiving the inheritance. You find out that you are a named beneficiary on a retirement account. It is important to know what you’ve been given first. Additionally, understand all of the rules and regulations that pertain to accepting the money. For example, if you currently hold an IRA you have the right to withdraw those funds without penalty as long as you place them into another IRA account within a period of 60 days. Therefore, it must be the same with an inherited IRA, right? That assumption is incorrect, and could result in the money you receive being compromised in some way based on how the inheritance is supposed to be divided. Taking the money from an inherited IRA can only be done through a trustee transfer. That means the funds may only be moved by way of the IRA custodian. This is for each account, yours and the one that has been inherited. 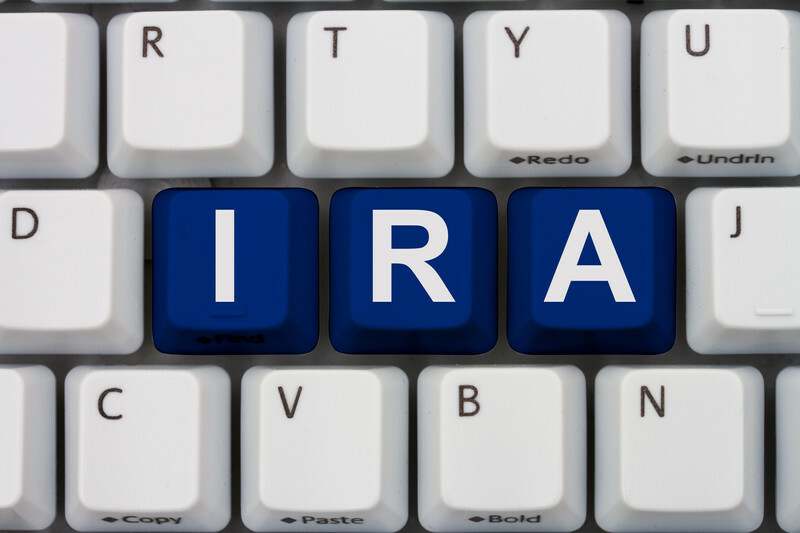 If you are inheriting the funds from your spouse, then the IRA must be renamed. It must reflect the original account holder’s name and that it has been inherited by the named beneficiary. They must also be included on the account. In the case of multiple beneficiaries, the custodian should then be requested to divide the funds into separate inherited IRA accounts. That way all beneficiaries get their fair share under the designation form. The distributions can be paid out over a lengthier period of time to take advantage of the account’s financial benefits. The wishes of the account holder, as stated on their beneficiary form, are the prevailing instructions that the IRA custodian on that account must abide by and carry out. The form dictates who is to be given funds and over what period of time the withdrawals must be distributed. No changes can be made to the form or the beneficiaries. Those individuals outside of a named spouse who are entitled to all or portion of the inheritance must begin taking that money no later than December 31 of the inheritance year. They may also space out their distributions so that the money lasts over the course of their own life expectancy. This is done for the purposes of reaping the benefits that come with an IRA in terms of deferred taxes or tax-free growth of the money. As we discussed earlier, the money in a 401(k) will automatically be given to a spouse except when written permission is given to gift those funds to someone else. We’ve also determined that most IRA custodians will not automatically bequeath the funds in that account to children of the deceased should no one else be named as a beneficiary. Nevertheless, that’s not how it necessarily works with a 401(k) if there is no spouse in the picture for permission to be afforded or a beneficiary designation form to the contrary. Then, the funds in a 401(k) may be handed down directly to the children. It will be divided equally among them if there is more than one. However, since the money is in a 401(k), they won’t be able to extend the life of the withdrawals. That is because they are not given the same consideration as a spouse in that regard. Hence, these beneficiaries may wish to have the funds transferred to an inherited IRA instead. The primary beneficiary of most married IRA account owners would likely be the spouse or partner in the relationship. For this reason, the rules governing the rights and privileges afforded to these individuals when inheriting an IRA were made to be straightforward and easy to abide. Simply put, the spouse of the deceased has the right to take the money in the inherited IRA and roll it over into their own. That way, the surviving spouse has the ability to do what they wish with the money and once they take ownership of the account. As such, that money is now a part of that individual’s retirement savings. It is then subject to all of the requirements, penalties, and policies that govern the surviving spouse’s IRA account. This also includes giving that spouse the right to delay taking any withdrawals from the money until the age of 70 years and 6 months. That is the rule with a traditional IRA, otherwise, there could be penalties assessed. What if the deceased IRA account holder is older than 70 years and 6 months at the time of his or her passing? If so, the beneficiaries should ensure that the mandatory distribution for the year of the death is withdrawn above all else first. If the beneficiary is not a spouse, they must be cognizant of two factors before getting their distributions. First, they should look into receiving any itemized deductions on their IRA income as a result of any taxes paid out by the estate of the deceased. The second is a little more complicated. This is because your minimum is calculated in a different manner on inherited IRA’s than with your own account. In this calculation, take the balance in the account by December 31 of the previous year. Then, divide that amount by your life expectancy estimate as shown on the IRS single life expectancy chart. Note that this is NOT the chart that governs IRA accounts. The following year, you would refer to the same IRS chart and then subtract a year. The inherited IRA rules are actually rather easy to understand. It should make compliance a cinch for both the deceased and their heirs. Conversely, in order for everyone to benefit and receive the inheritance to which they are entitled, it’s important that the proper forms are filled out in full. Thus, all wishes are made abundantly clear to the custodians of these accounts. They are taking responsibility when the time comes to allocate assets to the spouses, relatives, trusts, or charities that are entitled to those resources as per the deceased. 401K plans are bound by somewhat different rules than other retirement savings vehicles. That is due to the fact that all account holders of any form of retirement account must make sure that they make the necessary arrangements prior to their passing. That way their money is then given to the people and organizations to whom they have bequeathed a portion of the inheritance. Without those details worked out ahead of time, the money is at the mercy of banking policies and other regulations.